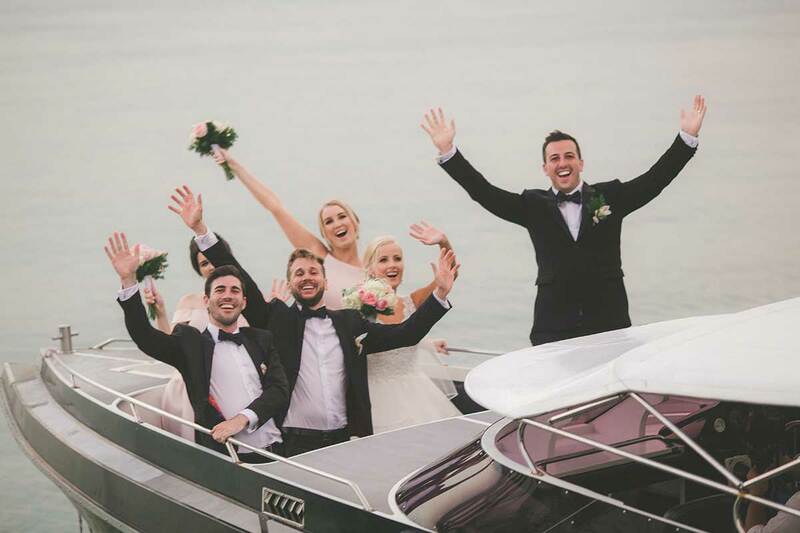 SWEETHEARTS FOR FOUR YEARS, Yasmin and Alex had put aside their dream of marrying abroad when Alex happened to read about a competition to win a luxury destination wedding in Thailand. Without telling his fiancée, he entered the competition, and won! 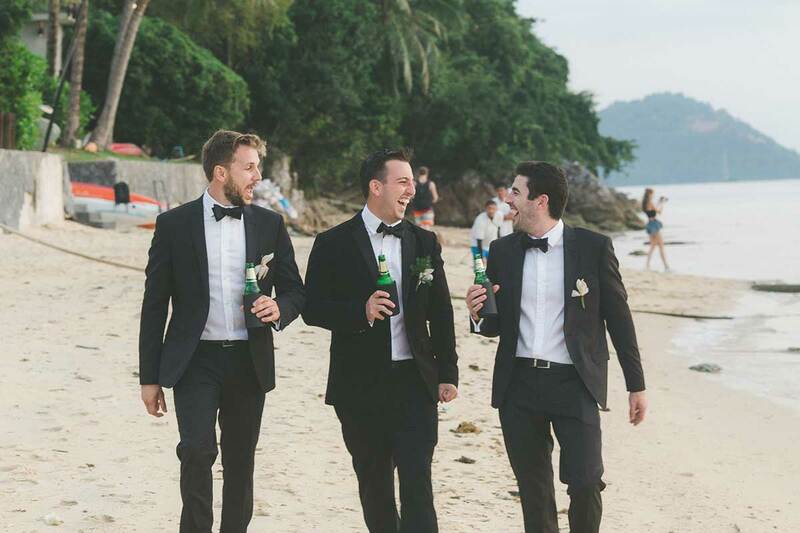 The prize, provided by the Tourism Authority of Thailand, consisted of two ceremonies: the first, a traditional Thai ceremony held late morning at the InterContinental Samui Baan Taling Ngam Resort. A drum parade escorted Alex through the hotel grounds, where he had to pass through four “gates of love”, creating quite a spectacle as he sang, danced and acted the fool in order to win over the gate-keepers and assure them of his love for Yasmin. After the ceremony, the bride and groom were blessed by their guests, who poured water from a conch shell into their united hands. The second, Western ceremony was held at the hotel just before sunset. 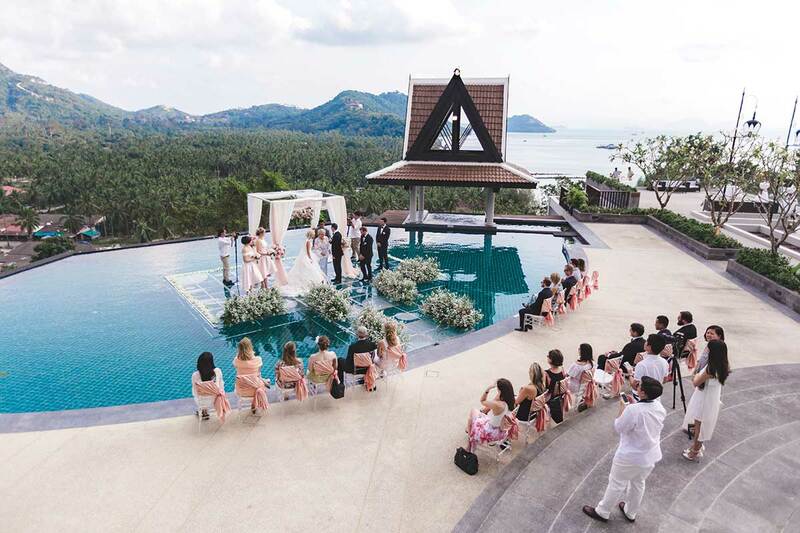 Yasmin and Alex sealed their love on a glass platform suspended over the infinity pool, with magical views of the surrounding jungle-clad mountains. 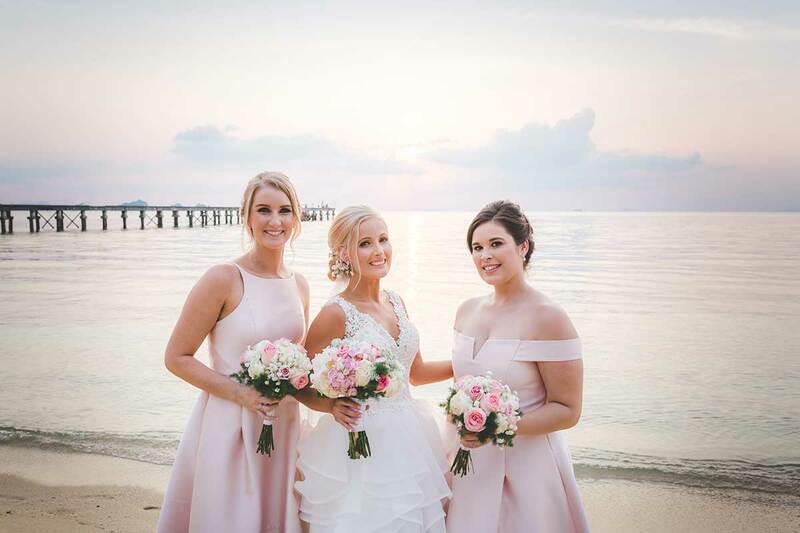 The altar was festooned with blush pink and white flowers, flowing chiffon drapes and an eye-catching floral chandelier, creating a dreamy setting for their vows. The reception dinner was held beside the pool, the décor following the chic blush-and-white theme. Guests enjoyed a three-course meal including exotic seafoods and a showstopper, three-tier red velvet wedding cake covered with delicate flowers. The fun continued as the newlyweds and their guests partied into the early hours of morning.